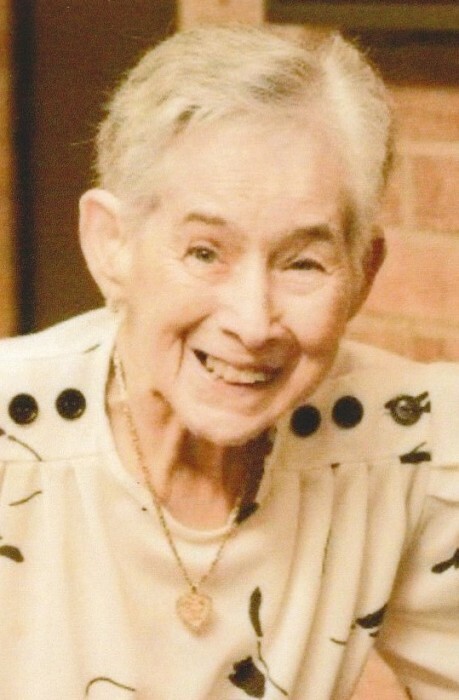 Roberta Louise Johnson, 82, of Flatwoods, passed away Wednesday, Feb. 6, 2019, at home, surrounded by her family. Mrs. Johnson was born Aug. 22, 1936, in Dorchester, Massachusetts, to the late Robert and Sally Pike Reed. In addition to her parents, she was preceded in death by one daughter, Janet Johnson; one brother, Edward “Bud” Snow; and two sisters, Izola “Dody” Adams and Sally Jo Harff. Roberta was a member of Flatwoods First Baptist Church, where she sang in the church choir and was known for serving the Wednesday nights suppers. She was an outstanding cook and baker. Roberta enjoyed putting together jigsaw puzzles, crafting, knitting and working with ceramics. She was a former member of the Eastern Star, mother adviser to the Order of The Rainbow for Girls and “just a grand-mom”, as she would say, for DeMolay. She also volunteered at Our Lady of Bellefonte Hospital over many years. She is survived by her husband, Bengamin Johnson, that together, had been working on 64 years of marriage; two daughters, Dianna (David) Compston and Cindy (Brett) Kennard; one brother, Bill (Evie) Reed; 11 grandchildren, Ben (Tiffani) Johnson, T.C. (Amy) Jones, Clyde (Trisha) Johnson, Megan Holland, Emily (Robert) Jones, Jessica (Michael) Thomas, Travis (Brittany) Compston, Myca (Tabby) Belcher, Elizabeth Kennard, Maria (Ryan) Hendrickson and Devon (Tyler) Hendrickson; and 16 great-grandchildren, Dylan, Alex, Lilly, Riley, Sophia, Celestial, Jett, Nevaeh, Bennett, Wyatt, Jaxon, Channon, Onyx, Brooklyn, Leeland and James. Funeral services will be at 11 a.m.,Monday, Feb. 11, 2019, at Carman Funeral Home in Flatwoods with Pastor Johnny Riley officiating. Burial will be in Kentucky Veterans Cemetery North East. Visitation will be from 5 to 8 p.m., Sunday, Feb. 10, 2019, at the funeral home.